We are a non-profit organization whose members enjoy building and flying model aircraft. Our field is located approximately 2.5 miles east of Arlington, WA off Highway 530 at 249th St NE. All RC aircraft are welcome: Airplanes, helicopters, and gliders; including electric, nitro, and gas. The runway is groomed grass, 400 feet long by 60 feet wide, with 50-foot runouts at both ends and 6-foot runouts on each side. 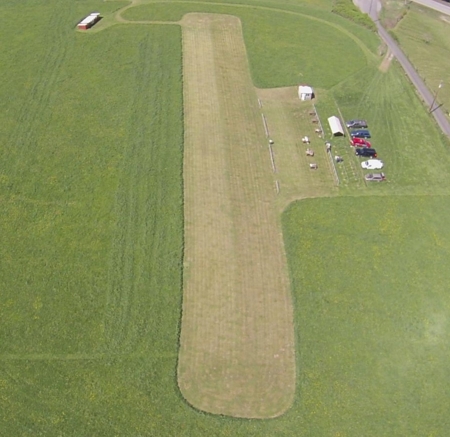 There is approximately 150 acres available overfly of hay and pastureland. Our facility features controlled access, safety fences for pilots and spectators, outdoor set-up tables, a heated clubhouse with fold-up tables for winter flying, and men's and women's sani-cans.